Daily Mirror informs Manchester City are set to launch a part-exchange deal involving two players worth a combined £23 million or the Toffees ace Marouane Fellaini. Man City are desperate to rebuild the squad this summer following the failure to defend Premier League champions title and the inability to progress to the Champions League knockout stage. 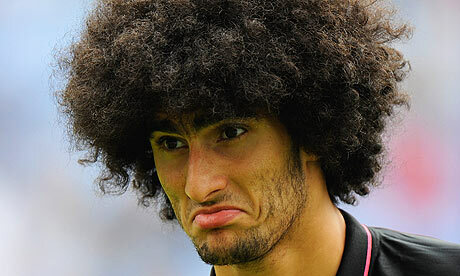 They have turned attention to Everton powerhouse Fellaini in a bid to improve their struggling midfield line. The 25-year-old Belgium international is also on a top of Chelsea shopping list, and the Blues are likely to face stiff competition from the side of free-spending Citizens for the signature of the player. Fellaini has been in a brilliant form this season scoring 10 goals and setting up another 4 in 21 appearances.